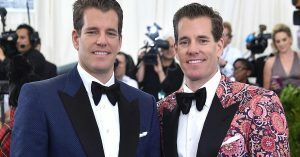 Gemini, one of the most known cryptocurrency exchanges, property of the Winklevoss Twins, is now offering a new service for important traders. Cryptocurrencies have attracted several new investors, and some of them have important sums to invest. The current crypto exchanges have some trouble to accept these kind of investments. That’s why Gemini is presenting this new product to the market. The information about this development has been unveiled by Cameron Winklevoss, Co-Founder and President at Gemini or April the 9th, in a blog post. The new product will be called Gemini Block Trading, and will be launched on April the 12th, 2018. Other enterprises and cryptocurrency platforms are offering the possibility to important crypto-traders to invest important sums of money in the market. There are some products like Coinbase Custody that protect and store digital assets for institutional investors. With this new product, Gemini will be able to reduce the volatility of Bitcoin and other cryptocurrencies in the market. Before, important investors were trading in the usual platform, creating important price swings when they placed their orders. The market has yet to be more mature to reduce such inherent volatility. Gemini is now the 35th most important cryptocurrency in the market, with $25 million dollars traded in the last 24 hours. It offers three different trading pairs: BTC/USD, ETH/USD, and ETH/BETC. In the future, Gemini is thinking about expanding its business adding support to new virtual currencies. At the moment, the company is analyzing this possibility with the local authorities. Additionally, it is not clear whether the crypto exchange will be offering the new product for new assets or just Bitcoin and Ethereum.